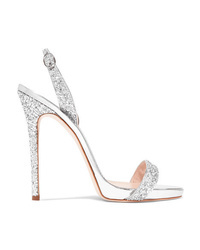 Giuseppe Zanotti Coline Glittered Metallic Leather Slingback Sandals $348 $695 Free US shipping AND returns! Prada 115 Scalloped Metallic Leather Sandals $795 Free US shipping AND returns! 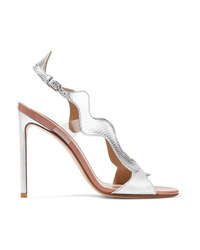 Francesco Russo Med Metallic Karung Sandals $297 $990 Free US shipping AND returns! Aquazzura Purist 105 Mirrored Leather Sandals $695 Free US shipping AND returns! Sophia Webster Nicole Glittered Leather Sandals $450 Free US shipping AND returns! 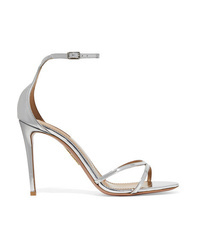 Gianvito Rossi Portofino 105 Metallic Leather Sandals $895 Free US shipping AND returns! 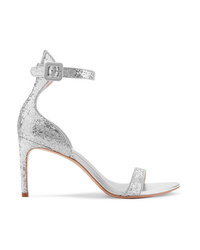 Jimmy Choo Mimi 100 Metallic Leather Sandals $875 Free US shipping AND returns! Sophia Webster Andie Bow Med Glittered Leather Sandals $595 Free US shipping AND returns! Aquazzura Mescal 50 Metallic Leather Sandals $785 Free US shipping AND returns! Giuseppe Zanotti Metallic Leather Slingback Sandals $695 Free US shipping AND returns! 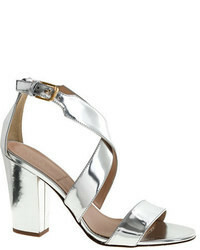 Isabel Marant Alta Metallic Leather Sandals $770 Free US shipping AND returns! Gianvito Rossi Portofino 70 Metallic Leather Sandals $795 Free US shipping AND returns!